More and more people are seeking out a way to make a difference; they don’t just want a holiday for the sake of mojitos and suntans but to make them feel as if they have participated in benefiting the country that has so affected them on a personal level. When we travel and give of our skills and our time it makes us feel better, not only about ourselves, but also about the potential difference that we are making in the world. It makes us feel part of something bigger than just us … alive. When it comes to volunteering in Africa we want to go where we are most needed, where our skills and our passion is appreciated and valued, but at the same time we all, on some level, want it to be self-satisfying. And herein lays the double-edged sword that potentially can stop us from thinking critically about what we are participating in. With travel, “voluntourism” is now becoming one of the fast-growing industries on the planet. In this day and age it can be very difficult to see the rose from the thorns when faced with the heaving Internet of different projects and possibilities. Wanting to be a volunteer should not just be viewed as being altruistic, however, there are many unscrupulous people out there willing to take advantage of others and use charity for their personal gain and volunteering candidates can be very easy prey. I have had the misfortune of being taken to an orphanage once while travelling. Children were paraded around by a wide eyed volunteer and made to sing and dance and hang around me for no value or apparent reason beyond the hope from the head of the orphanage that I might leave a hefty donation. I later discovered via a journalist friend in the area that the particular orphanage was known to only parade children around in the hopes of getting money, and that half of them were not even orphans! They were children for goodness sake; they melted my heart and I think that that was probably the point where I parted with my money. It left a horrible, bitter taste inside, making me question whether or not volunteering can actually do any good at all and how easily it was to be swayed to be a participant. Travel should be something that should improve rather than exploit a destination. In the context of volunteering, ‘responsible’ means that a project should deliver what it promises – a positive change to communities and or conservation, and not just present a good pamphlet. When it comes to choosing the right voluntourism opportunities you need to let go of the idea that it is all about you. There is a very real difference between volunteering for yourself and volunteering your talent to an organization that requires it. Unfortunately the projects that have the long-term benefit are often not as glamorous, and don’t offer the instant gratification than their shorter term counterparts. Voluntourism is fine on a short-term basis as long as you recognize some of the warning signs of a project that is simply there to fleece money off you and cause more damage than good to the local community or environment. The onus is on you to not contribute to the problem, because ‘bad projects’ only exist as a result of the continued blind support of volunteers that are not interested in questioning the work they are doing. You are an ambassador for your country when you travel; conduct yourself as such and emulate what it means to be a responsible tourist by doing thorough research. If you travel with a giving heart but keep a rational and reasonably researched mind, the experience of volunteering can be both rewarding for you and have real, long term benefits for the people you are working with. Below is a list of different organisations across South Africa and Africa that have, in their own unique way, adopted the principals of responsible tourism and what it means to be part of a community. What is encouraging is the way South Africa is leading the way as there were so many projects you would still be reading late into the night if I had to list them all. I am not an expert on the subject, but I have dealt with my fair share of organizations that incorporate volunteers into their programs. Take your skills and your passion, manage your expectations and do your homework. There are few times in life when you meet a group of people that put you to shame in terms of work ethic. 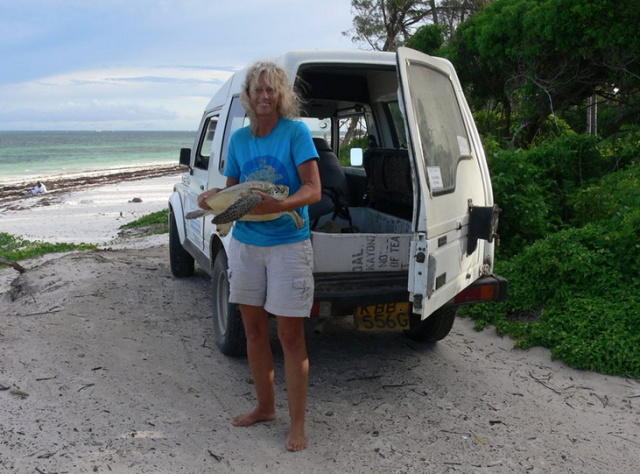 The volunteers at Watamu Turtle Watch do just that, with their unwavering commitment to not only their community, but also to their local marine environment. The organisation is committed to the protection of the Kenyan marine environment through community development, practical conservation, education, research and campaigning. Eco-Visitors, as they like to call them, are kept busy all day with various programs including; the rehabilitation centre (care of the turtles), mangrove restoration, nest patrols where you patrol the beach at night to locate, tag and collect data on nesting turtles, as well as a marine green garden and nursery used to educate community groups about effective plant propagation and vegetable production. Age: 18 and upward, as long as you are physically fit no one is too old to help out. They can accommodate up to 8 eco-visitors at a time in a rather charming little housing area setback form the rehabilitation centre. I personally lived in these rooms for over a month, and the little dipping pool nestled between the 4 rooms each with two beds, en suite bathroom and mozzie nets. It’s a beautiful oasis for the weary volunteer especially if you have spent the day working as hard as the local crew work. In the By-Catch release program eco-visitors accompany a member of staff to collect turtles that were caught or found by local fishermen. These turtles are assessed, tagged and if healthy they are released within the Watamu Marine National Park. If they are ill or injured, they are brought back to the rehab centre. The number of releases per day varies greatly but 4-5 per day is not unusual. When it comes to volunteering work with underprivileged children, you have the potential to be heading into very murky waters as to the actual value that a volunteer can give, especially if they’re not qualified in the field of child education. 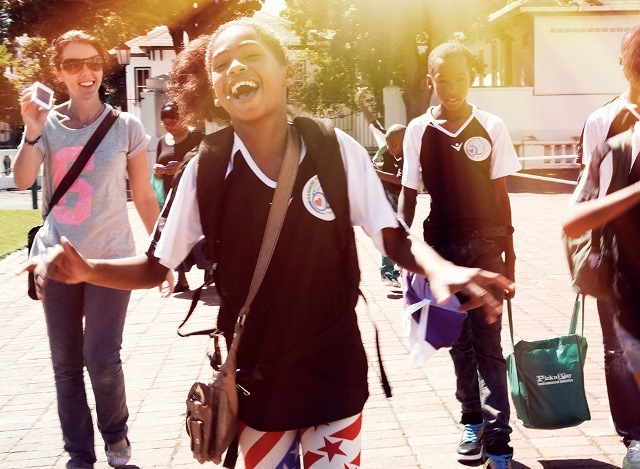 But Bambini Dream Foundation in Cape Town has found an incredibly enlightened way of combining both volunteer work, but with the sole focus of only being for the betterment and benefit of the children involved. This is definitely a project that encapsulates the entire idea of volunteering not being about you. They teach the children in their project how to creatively express themselves through music and art through hosted talks and workshops put together by volunteers. As long as your workshop can engage young imaginations and nurture self-belief and creativity, you don’t need to open your wallet to work with this wonderful group of people. Once a month, for 4 hours, you can participate by contributing your skills to one of their workshops. For more targeted programs they’re always looking for volunteers in the fields of art therapy, childcare and psychology. But if you’re an artist, graphic designer, blogger, musician or anything in the creative arts field and want to give of your time, this is a good place to start. Wildlife ACT is the kind of place you want to volunteer if the bush is where your heart lies. They run critical endangered and priority species conservation projects focusing on Cheetah, African Wild Dog, Rhino, Lion, Elephant, Leopard and Vulture protection. Expect to be out in the early hours of the morning assisting in spotting target species, finding target individuals and groups using radio telemetry tracking, data recording (including the use of GPS), counting animals and checking their conditions – they need all the eyes they can when a pack of 21 Wild Dogs are running across a road. You will be taking photos for identikits for certain animals, downloading photos from camera traps and helping with the setup of camera trap stations, as well as assisting the monitor with animal capture processes. This is the perfect example of being involved in valuable data capturing providing information to managers to ensure they are making the right decisions, and spending your time out in the bush learning from experts is nothing short of spectacular. Age: 18 upwards. They allow a maximum of 5 volunteers per project, where you can stay for 2-week blocks for up to three months, living in the research accommodation facilities on each reserve. You can also assist management with the feeding, cleaning and care of animals being reintroduced to a reserve, and those which are kept in holding facilities (bomas) before release. 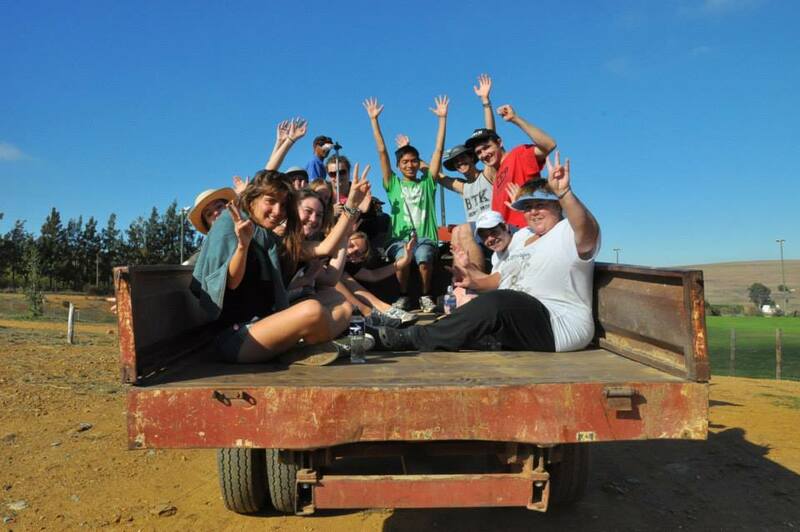 The price for volunteering in one of these projects covers your accommodation, training, equipment and food for meals while at the camps, as the funding from the volunteers covers all the running costs. In essence no volunteers means no projects. Make use of the resource that they suggest called Volunteer Forever – a crowd funding platform to help you raise the money you need to participate. At the moment they are in the final processes of setting up agreements with North West Parks and the Tourism Board to assist in Madikwe and Botswana’s Department of Wildlife and National Parks to assist in Chobe and the Okavango Delta. Marine Science students are invited to dive into the wonderful underwater world of Hermanus and Walker Bay. Create meaningful data to benefit many different aspects of marine life within the bay; the perfect voluntourism opportunity for someone who is passionate about pursuing work in the field of marine conservation. One of the visions of SASC is to make Walker Bay one of the best-studied bays in the world, so they designed projects to enable baseline data collection including a marine debris project looking at plastic accumulation and composition on two beaches in Walker Bay, dolphin and whale monitoring and baited remote underwater videos to sample different habitat types in the bay. Time it correctly and you could also participate in the Save Our Seas Shark Camp, which normally happens 3 times a year and involves teaching marine awareness to underprivileged children in the area. This is mostly for people that have just finished their degrees and want to gain experience in marine conservation. Maximum of 6 interns per month – with a minimum stay of one month. You get accommodation in your fee, but you will need to provide your own food. One of the nifty things they also offer is the ability for university students to come and do their projects through the conservancy, but they would need to stay for three months to make sure that the correct data is collected and the results are meaningful. It’s all gone to the birds. The mission of BirdLife SA is to promote the enjoyment, conservation, study and understanding of wild birds and their habitats. In parts of Africa a special relationship exists between birds and local cultures. Birds have inspired artists, and bird images are frequently used to adorn everyday objects like coins, bank notes and postage stamps, which is why BirdLife South Africa believes in preventing the extinction of any birds through conserving, and where appropriate improving and enlarging sites and habitats that are important for birds. Any age (from school leaving age) of volunteers for office based admin. Some projects, such as monitoring programs, need younger, fitter people who are happy out at sea for extended periods of time, and who have a valid medical and sea going safety course, with sea-going experience and seabird identification as preferred skills/experience. 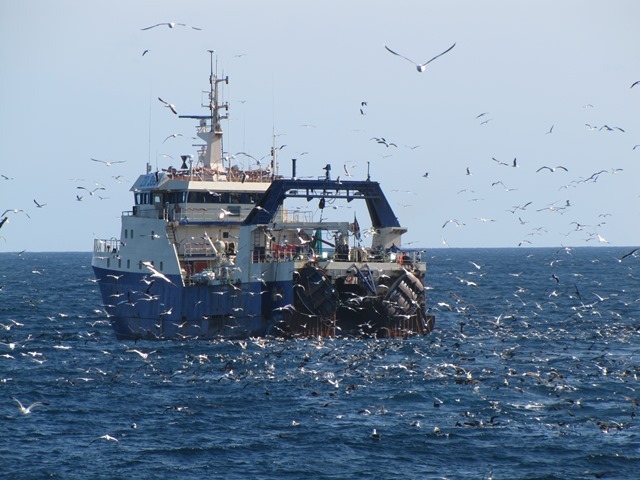 They are on vessels with up to 30 fishermen for extended periods of time, with no communication and rough weather so only the adventurous need apply. People can also volunteer on many of the citizen science projects like SABAP2, or you join and volunteer within bird clubs, which are affiliated to BirdLife SA to help collect valuable data. They are very interested in chatting about what different volunteers see themselves doing or where they might think opportunities exist on a case by case basis, so if you are interested in all things feathered and flying, open up a dialog with them. Zavora was created to develop scientific research and coastal conservation projects in Mozambique, particularly in the Zavora region. If you are a budding marine scientist/student and want to venture into Mozambique’s warm waters then this will give you the opportunity to engage in real world research, but students of any age could and should apply. 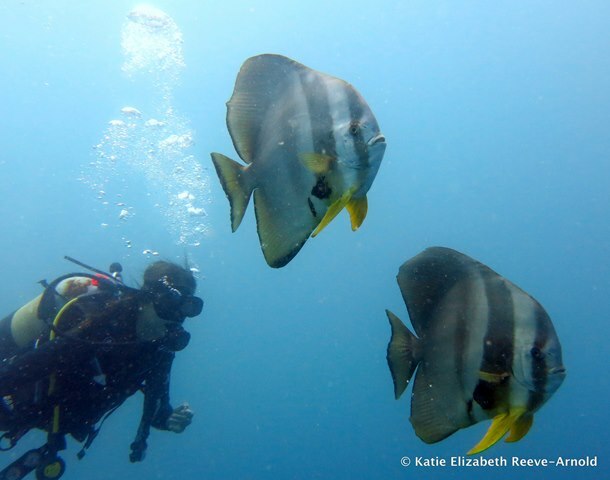 You go through practical and theoretical training including basic marine biology, manta ray identification and photo identification, as well as several techniques of nudibranch surveys. With a minimum 1-month stay there is also the opportunity to take Portuguese language courses and dive courses from open water to technical/rebreather CCR dive courses. Maximum 6 volunteers to ensure the quality of the training and the research, accommodating you in a very nifty looking marine lab located between the village and the ocean. If you’re available to join from June to November you get to participate in the humpback whale project, which involves fluke ID and land survey – an experience not to be missed. Fee includes: accommodation, training, material, transfer from/to Inhambane Airport on the 1st of each month, and 5000met food allowance, snorkeling and up to 25 dives per month. If you are interested in developing your own project or want to stay for a longer period of time then they are absolutely open to talk. With over 40 002 trees already planted in over 286 locations in the past 3 years Greenpop are one fun, colorful and all inclusive group of people. The organisation is working hard to inspire a greener, more conscious movement through tree planting projects, green events, education, social media and activating people to get out into the environment and start doing. Their infectious energy and love for all things outdoors makes their projects great for young and old and everyone in between. You might even find yourself using some of their TREEmendous puns after a heavy day of tree planting fun. A large-scale annual 3 week long project where anyone and everyone is welcome to apply to be a volunteer and they can host over 100 helpers at a time. If you are coming over as an individual you need to be 17 years and over, but school groups accompanied by teachers are also welcome. This is a great event for the whole family, as nothing can beat getting the kids involved, camping, digging and enjoying the outdoors. The fee includes accommodation in tents (or the option to upgrade), all meals, airport transfers, an orientation program, all tools and transport on the ground, workshops, lectures, and of course access to the music festival which happens during the final week. This is a smaller-scale ongoing Greenpop volunteer project that runs throughout the year in partnership with African Impact. Again you need to be 17 years or older, and they can host up to 5 volunteers at a time. African Impact has a volunteer house where you can spend 2 to 8 weeks. Hosting up to 10 interns, as opposed to volunteers, at a time; this is an excellent initiative if you would like to be based in Cape Town. Interns have to be 18 years or older and generally stay on with the project for 4 to 12 weeks at a time. There is an accommodation package, which includes accommodation at Once in Cape Town (but you can arrange your own accommodation as you prefer), airport transfers, and an orientation program. 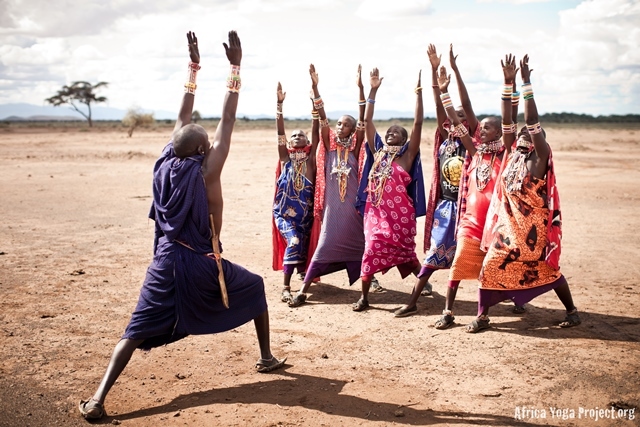 Empowering over 250 000 Kenyans a year through the power of yoga, the teachers at Africa Yoga Project have designed their yoga programs around increasing physical, emotional and mental wellbeing for individuals, while also building healthy and empowered communities. And they hold no barriers when it comes to who and where they teach, with programs being run in prisons, schools, special need centers, HIV/AIDS support groups, deaf schools and rural villages. ‘Seva’ is the Sanskrit word for “selfless service”, and ‘safari’ is the Swahili word for “journey or trip”. On a Seva Safari trip with Africa Yoga Project, that is exactly what you will be getting – a selfless service journey, and one that I personally cannot wait to join one of these days. Age: 7 year olds all the way to 60 year olds. 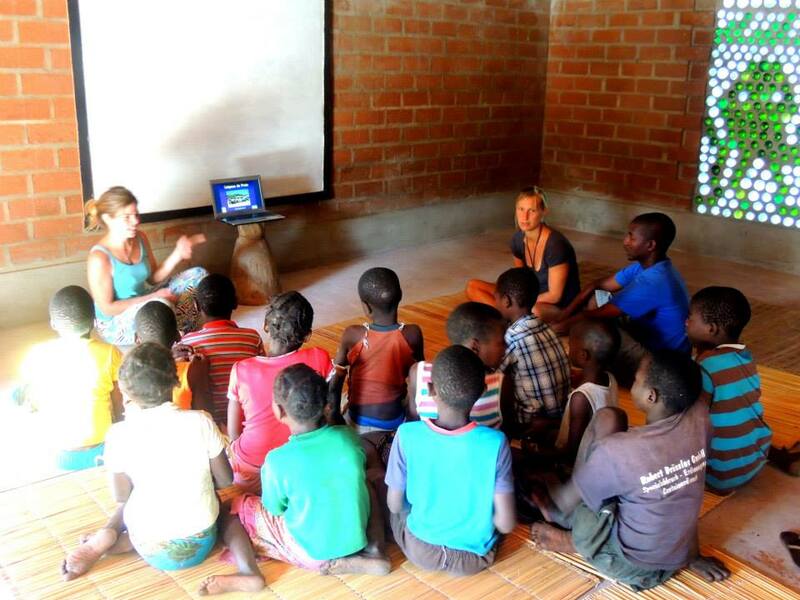 The Seva Safari’s teacher training accommodates up to 30 volunteers at one time, and for family Seva Safari’s the groups are much smaller. They keep them a bit smaller around the number of 20 people. They even have a have a Kilimanjaro Climb open to as many as 100 volunteers. The ambassador program has 2 volunteers for each 2 week period. Accommodations are setup at a local site where Seva Safari’s are 10-12 day trips and the Ambassador Programs are 14-day trips. All Out Africa are a travel company focused on providing responsible travel experiences for volunteers looking for a working holiday in the three regions that they operate projects in. This project in the lovely village of Tofu in Inhambane Province is a beach time paradise for any volunteer, where you work in collaboration with the Foundation for the Protection of Marine Megafauna and Peri Peri Divers, to collect data on whale shark research, coral reef monitoring, seasonal humpback whale monitoring and turtle surveys. Even if you are not a diver you can participate by volunteering with the childcare programs where you will be working to assist the caregivers, social workers, teachers and other staff responsible for looking after the children by using your relevant skills to help meet the needs of your placement under the guidance of their staff. 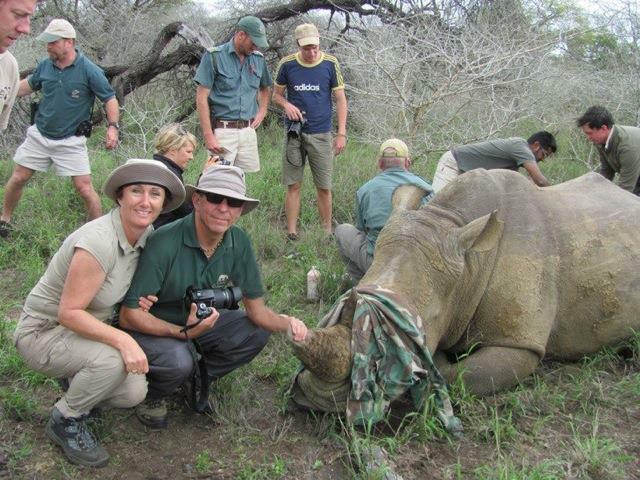 It’s a great way to get involved in conservation as well as empowering the local community. Age: 18-70. Occasionally they accept 16 year olds but each case is assessed on an individual basis, and if you are under 18, you need signed consent from a parent or a guardian. Maximum capacity for 16 volunteers at any given time. For 2 to 12 weeks your fees will include food, accommodation, training, equipment, activities, daily guidance and backup support for the duration of the experience, as well as a project donation. The heartbeat of gorilla conservation is rooted in earning the support of the local communities that share a backyard with these critically endangered animals. 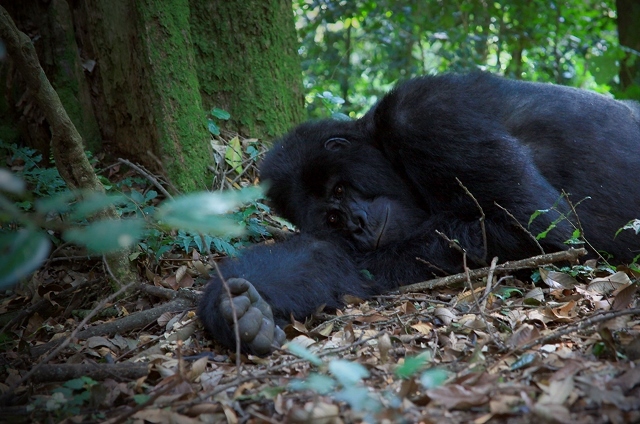 Sharing 98.4% identical genetic makeup, humans are more similar to their furry friends than one might think, and disease can spread between wildlife, humans and livestock as a result of humans and gorillas living in such close proximity. Many of Uganda’s most isolated and impoverished families inhabit areas with these gorillas, which lead to the creation of CTPH. Dr. Gladys Kalema-Zikusoka, an incredible force in gorilla conservation in East Africa, spearheads the organisation. Her projects main focus is on gorilla conservation by enabling humans, wildlife and livestock to coexist through improving primary health care in and around Africa’s protected areas. If you want to work on making a difference in wildlife conservation, but also improving people’s lives, then this project offers both in abundance. Age: 18 years and upwards. Volunteers can assist in doing laboratory analysis at the Gorilla Research Clinic; developing behaviour change communication materials in the community public health and conservation education and social service delivery program. The camp has some of the best views overlooking the top of Bwindi Impenetrable National Park. Maximum of 10 volunteers at any one time. Volunteers are given a ‘volunteer contract’ set out with their specific tasks to keep you motivated throughout their experience. Accommodation is in three self-contained tents (6 people) and then there is provision for camping if you bring your own tent. There are plans to build a guesthouse by the end of 2014, which can accommodate 8 people. You can stay from one week to 6 months to one year, depending on what project you are working on. They do offer paid volunteer opportunities, but you will cover accommodation, meals, transport and any other personal expenses during your stay. 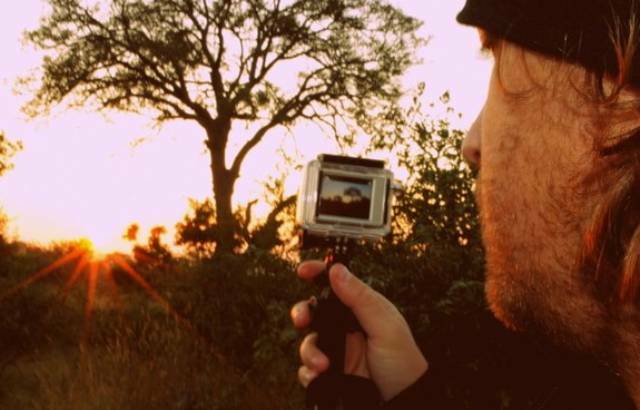 Are you a budding filmmaker, photographer, journalist or anthropologist with an interest in conservation and the environment, sustainable development, renewable energy, education, human rights and social issues? The Expedition Project runs an annual series of journeys supported by government and private enterprise in search of the nation’s inspiring success stories. They travel the country to identify significant social and environmental challenges around South Africa and connecting community projects to find the best solutions to overcome those challenges. A lot is done to determine the root cause of the issues through hands-on assessments and face-to-face interviews. It’s a truly South African road trip with a difference, and a great way to see the country from a very interesting angle. They need young, adventurous volunteers with an interest and training in all forms of media. They also need volunteers to help with surveys and interviews in the communities, as well as assist with the static community projects being visited. In order to be a part of the travelling team you would need to contribute R350 per day. The courses that they have plotted are mostly off the beaten track, but there is no serious bush-whacking involved. Expeditions run for varying lengths but all trips start and finish in Cape Town, and it is up to you to decide how many days you would like to join in. Airport pick-up and drop off points are located along the way. They accommodate one 15kg bag per volunteer, and you need to bring your own laptops and camera equipment. Internships are free provided you can offer your expertise and services to the project. How does the organisation select their volunteers? Good programs will carefully select the types of volunteers to fill the specific needs of the project (request a skill set for example). What exactly will you be doing and how does that fit into the long-term goals of the project? Make sure the animals or children are not performing for you. What percentage of your fee (if there is a fee) will go into the project itself and what will they take as overheads/management fees? Don’t be nervous about asking exactly where your money will go. Ask if they can provide you with contacts to ex-volunteers and not just what might be written on the website as positive recommendations. Do they have detailed plans of the project as a whole? Those plans should illustrate the big picture – you need to be able to clearly see how the project will benefit the community and local environment, and not just in words. Take a hard look at the project and make sure that it will continue long after you leave. Use Google and check online if anyone else might have anything to say about the project. 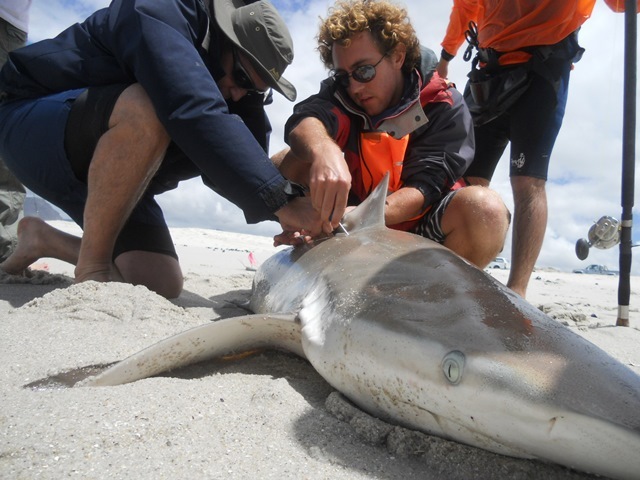 When it comes to wildlife, realize that being directly involved with the rehabilitation of animals often requires specialist skills that some volunteers might not possess, but being involved in data capturing or habitat enhancement, while not as glamorous, can be just as valuable and necessary to the survival of a species. Linda Markovina is working as a freelance Photojournalist, Travel and Fiction Writer. She considers herself to be the better looking half of Moving Sushi and the only one who is ever online. She blogs on behalf of Moving Sushi for Getaway Magazine, The Africa Report, Kiss from the World and writes travel guides for Buggl.com. Her main loves are writing about travel, the natural world around us and how we as people interact with it, as long as it’s not anything to do with snakes. Snakes give her the willies. Catch up with her on Twitter @moving_sushi. Could you please advise if it would be possible to feature our Agriculture Green Psychotherapy voluntourism project on this page? If so, please provide an email address to provide more information. Thanks for getting in touch and showing interest in Travelstart. However we write a new blog and Agriculture Green Psychotherapy ties with with our content we’ll be sure to keep you in mind. Your e-mail address will be kept on record. would it be possible to please send me your email adress? I would really like to make contact with you. You can catch up with her on Twitter. Her Twitter handle is: @moving_sushi which is mentioned on the bottom of the blog. It is great to see Conservation Through Public Health listed among the top 11 organisations that offer unforgettable voluntourism opportunities. I look forward to seeing you people here and join the rest of volunteers here. Can I volunteer. ?I am 66 years old. What an incredible piece with wonderful suggestions. Now I want to do all of them. Who’s coming? Oh, and I can’t recommend time with Greenpop enough!